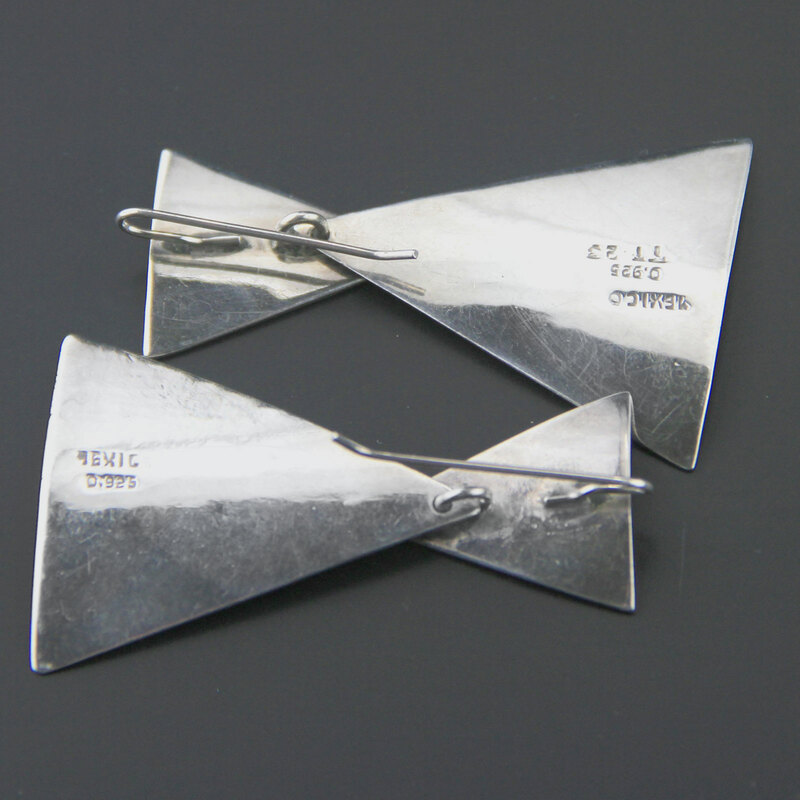 Amazing big vintage Taxco avant garde earrings. 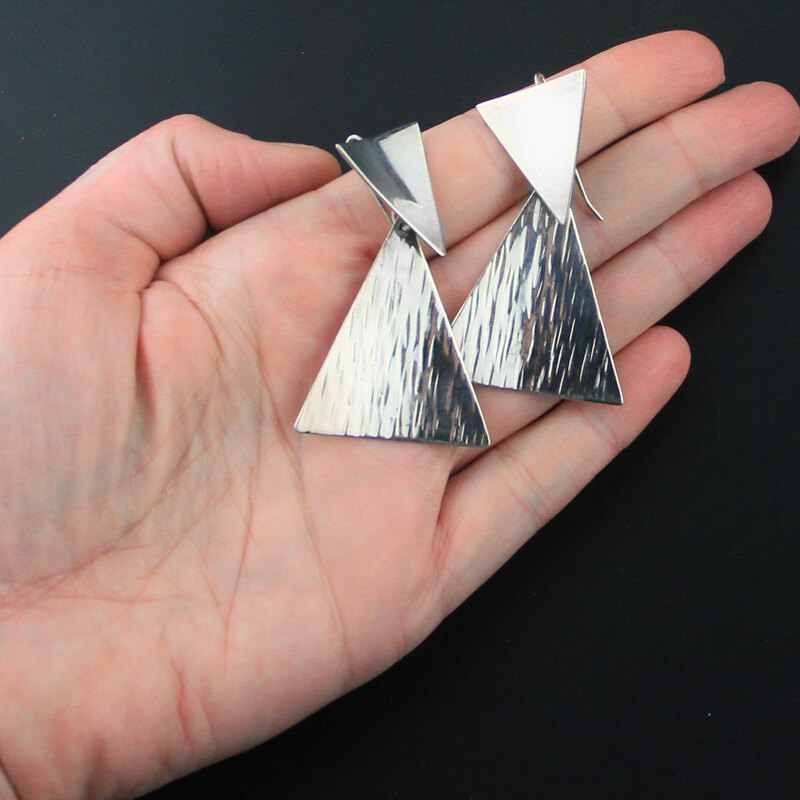 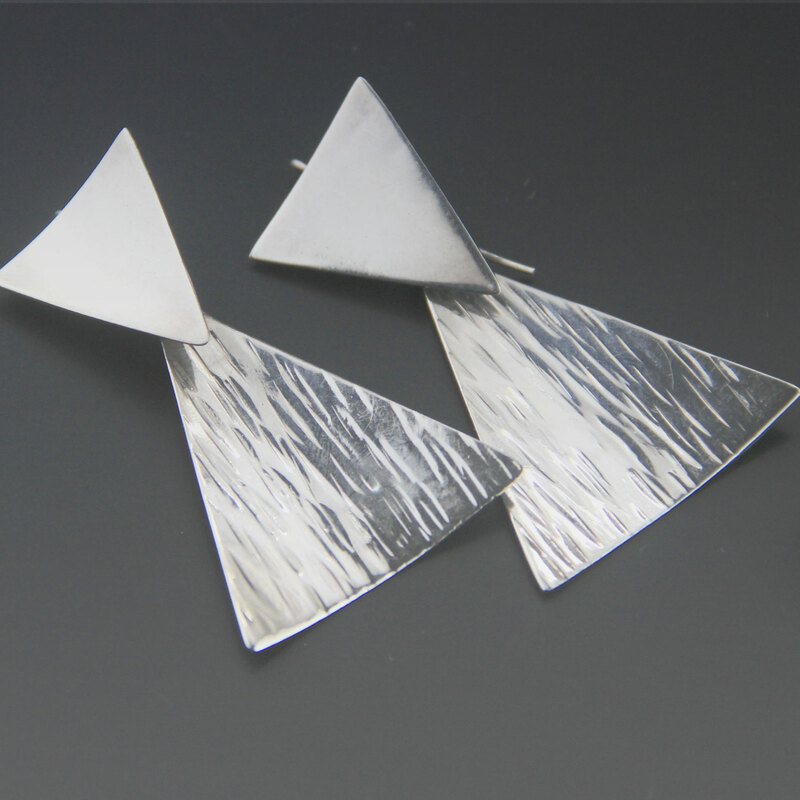 Articulated two piece dangle of curved triangles, one textured and one high shine with handmade hook. 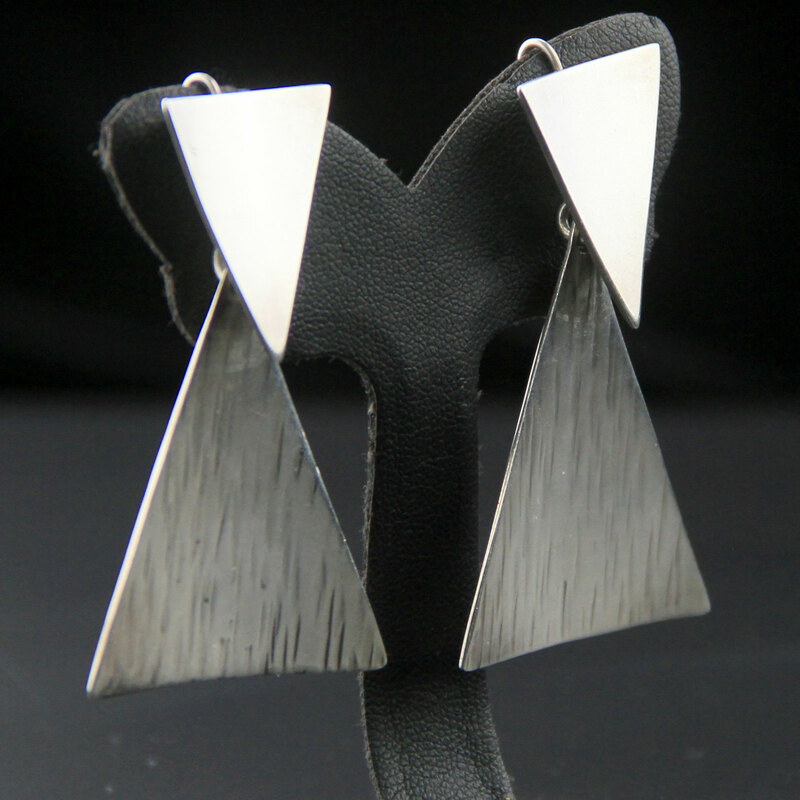 Made in Taxco, Mexico c1980s, beautiful big statement earrings.